Robert Führer (1807 - 1861) was born in Praha, he became the Director of Music at the Dome in 1839 at the age of 32. He was deemed to be most talented, but he lived a most expensive style of life. To support this extravagant lifestyle he sold a valuable Stradivarius violin which was owned by the Dome. This fact was discovered in 1843, when he was dismissed for the crime. Without a church to call home he wandered through several different towns and villages, but never stayed in any one place for too long. During this period he had to support himself from sales of his church music compositions. Luckily this was successful because his music was well loved. No other composer's works enjoyed as widespread performance amongst the choirs in South Germany and Austria. 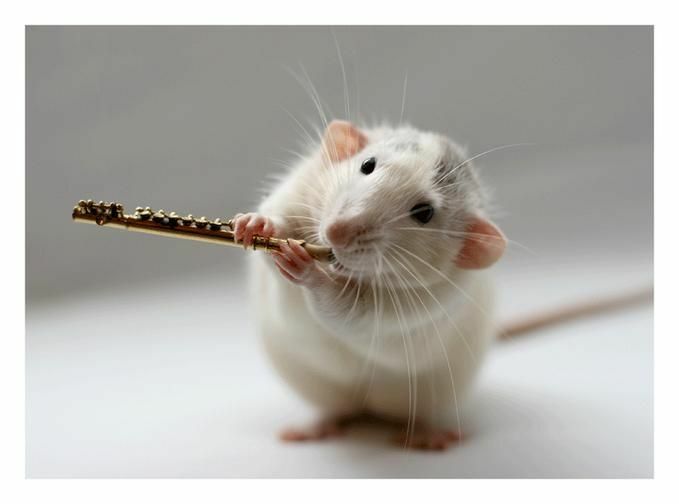 His musical style varies from a composer such as Mozart, and is more in keeping with that of an early Caecilian. His works were often written for rural choirs, meaning that they were not too musically demanding. 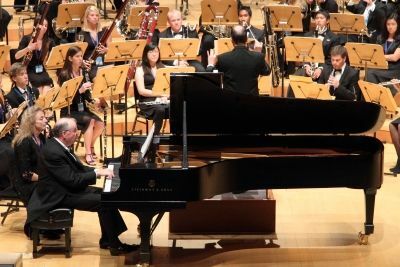 In spite of this, larger and more difficult works can be found in his repertoire. 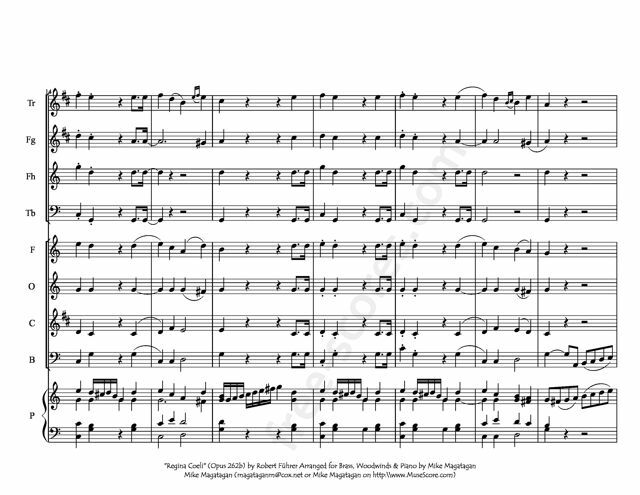 Although his works were sometimes judged to not have been "carefully" composed, he surely was a talented and experienced composer, well loved by his public, and had an innate sense for composing a beautiful melodic line. 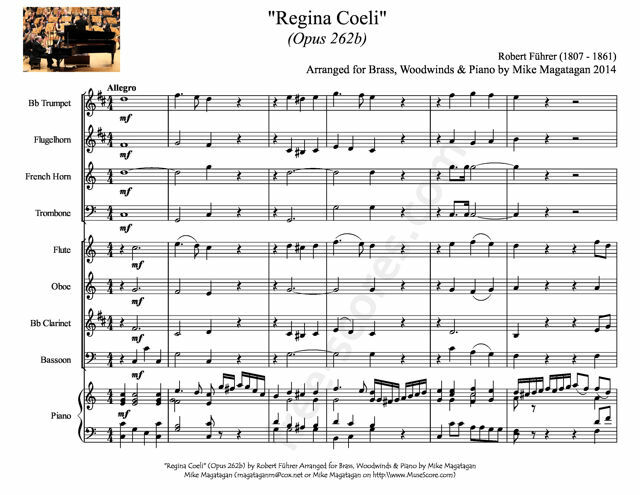 The Regina Cæli or Regina Cœli ("Queen of Heaven"), is an ancient Latin Marian Hymn of the Christian Church. It is one of the four seasonal Marian antiphons of the Blessed Virgin Mary, prescribed to be sung or recited in the Liturgy of the Hours at the conclusion of the last of the hours to be prayed in common that day, typically night prayer (Compline or Vespers). The Regina Coeli is sung or recited in place of the Angelus during the Easter season, from Holy Saturday through the Saturday after Pentecost. 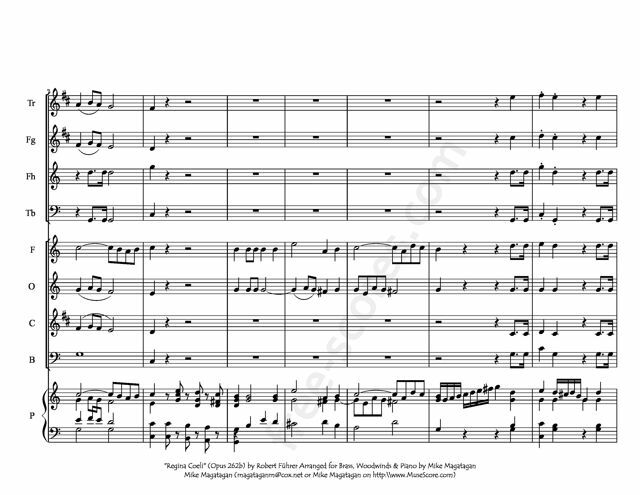 Although originally created for accompanied chorus, I created this arrangement for Piano, Woodwind Quartet (Flute, Oboe, Bb Clarinet & Bassoon) and Brass Quartet (Bb Trumpet, Flugelhorn, French Horn & Trombone).